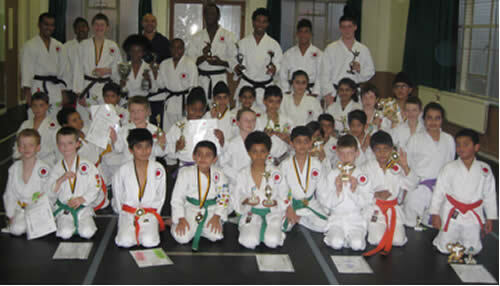 The last Kyu grading for this year will take place at Rochfords on November 25 from 11:30 am to 12:30 midday. Sensei R.A. Bertie will be the grading examiner. There will be an initiation ceremony on November 25th from 10:00 am to 11:30 am. If you have not had your initiation do not miss this chance to become an official Rochfords Dan grade. Would all other members do their best to attend to make this initiation ceremony a memorable one for those black belts taking part. All the action will be captured for future use on DVD. The Annual club competition is looming large. The date for this years competition will be Sunday 16 December at the club. The format will be similar to last year, we aim to start at 10:00 am and finish at around 4:30 pm with a lunch break around midday depending on circumstances. Gum shields are compulsory for all Kumite events breast guard for female competitors and groin guards for male competitors are advisable. 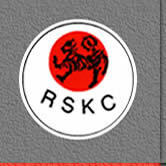 I hope everyone will support the club and enter into the spirit of the competition. Of course, the competition would not be complete with out the spectators I hope all parents and friends come along and lend their support to the students at the club. Please remember to bring some extra cash with you for the raffle tickets and the 2006 DVD. For many years, Rochfords have adopted Cancer UK as its preferred charity. The reason behind this is that many of us in some way have being effected by this dreadful illness if not personally I am sure you know of a family member friend or neighbour that has succumbed to this dreadful illness. Personally speaking I have lost both my Dad and eldest brother to Cancer. So lets all support the charity by either buying a raffle ticket on the day and or by donating some prizes to be raffled. I would like to take this opportunity to thank those parents and students who have supported the club in this charity over the years. If you are a regular attendee at the club you would not have failed to notice the number of students attending the club has declined over the last few years. To reverse the trend the club is embarking on an advertising campaign using contacts through the schools that our existing students attend, I am sure with your help and support and everyone pulling together we can increase the number of members attending the club once more. The advertising will be set around the students; who must first get permission from the School head master. The club would also like to raise its profile by attending school fetes and putting on a short demo, again based around the student whose school the fete is to be held at again, Permission must be sought from the relevant school and headmaster. If the idea of having your face on an advert or being part of a short demonstration appeals to you please get in touch. The Council in its wisdom have recently changed the way the rent is collected. Over the years the fees were collected a month in a rears, since August of this year the Club have had to pay a month in advance, this is proving to be quite challenging financially. Due to the council changing the payment methods and the falling number of students, the Club has decided the lesson fees move to a monthly (four weeks basis) from February 3rd 2008. Information on the new scheme will be distributed in January 2008. The Children's Party will be held at the club on Sunday December 9th.Please note the time will be confirmed later. The Party is free to all students who are members of Rochfords and between the ages of five to ten and attend the first classes at the club. Rochfords has been invited to its first External competition as an independent Club. The competition will be held at Montem sports Centre on Sunday 25th November 2007. I would like all those students who are interested to Contact Sensei Richard Bertie for further details. PS: This competition is Kata only. 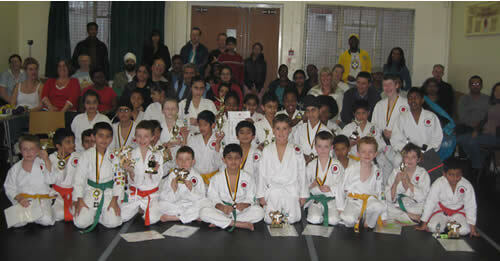 The Club will start entering more open karate competitions in 2008. If members know of any competition that the club or they would like to take part in please give the details to Sensei Richard Bertie who will follow up and gather details. We wish all members friends and Parents a very Happy Christmas and a safe New Year.